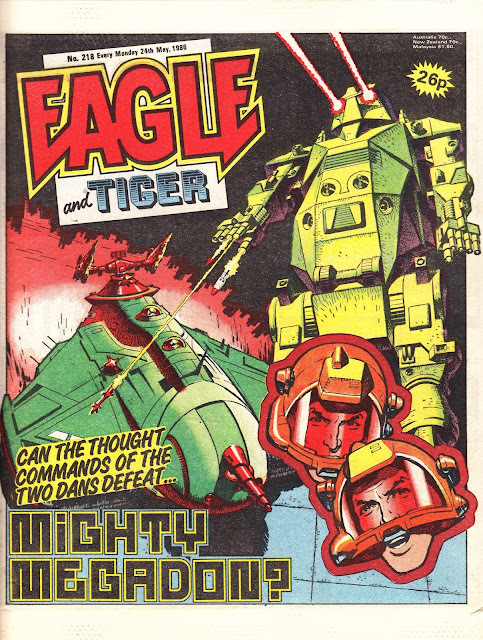 Another Wednesday, another EAGLE cover gallery. 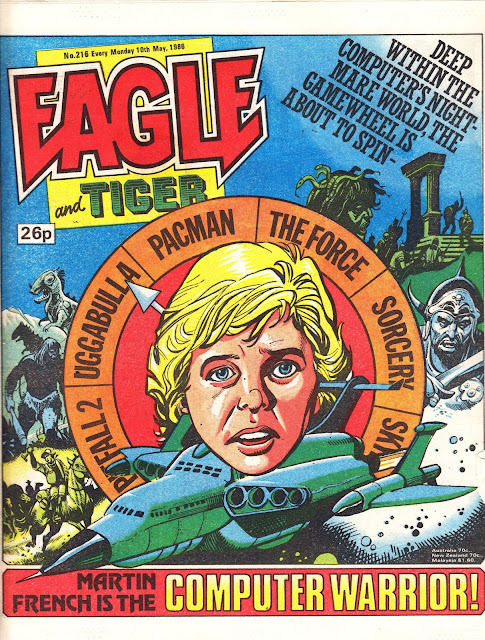 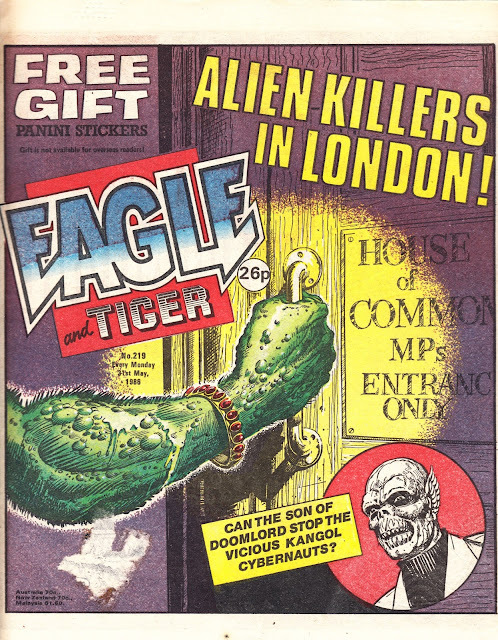 It's back to May 1986 and a five-cover month. 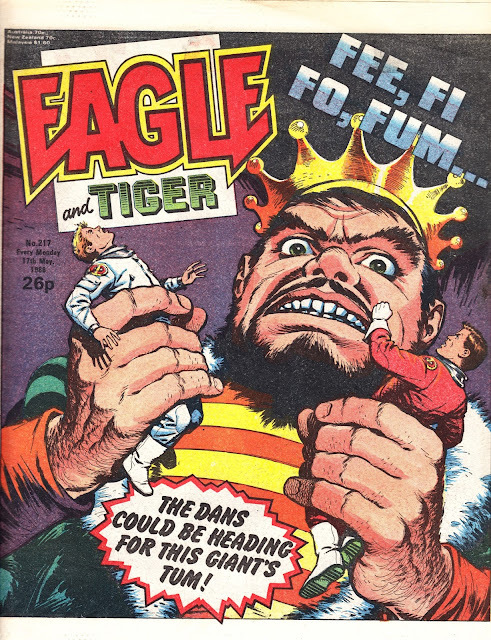 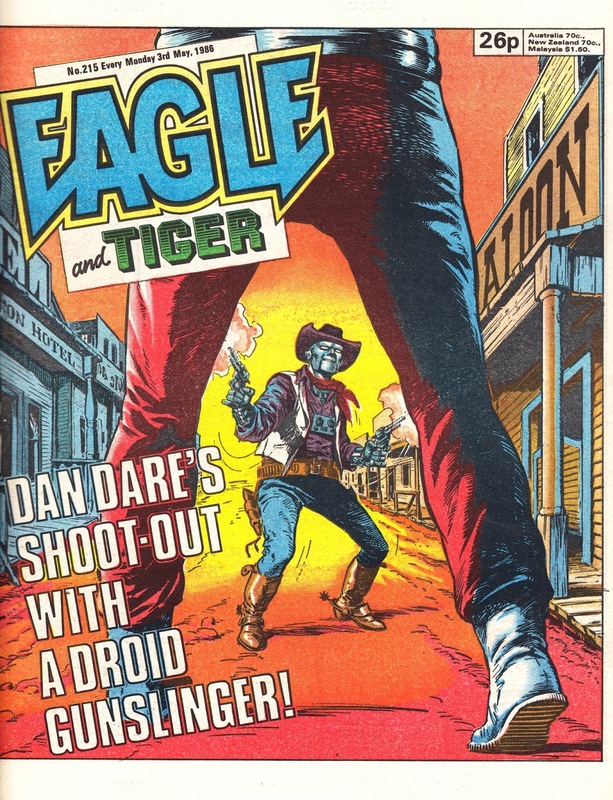 The WESTWORLD knock-off and Kong-like fairy tale king shows just how far the Dan Dare strip had fallen from grace from the initial 1982 high of The Return of the Mekon.